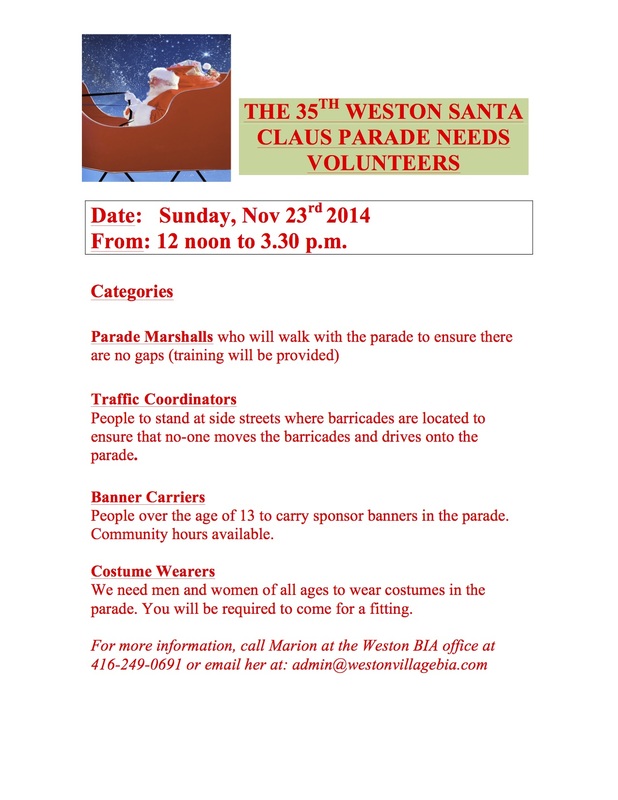 The Weston BIA is looking for helpers for this year’s Santa Claus Parade. They’re looking for marshalls, costume characters, traffic wardens, and banner carriers. Your efforts at the parade count toward your high-school volunteer hours, and will get you on Santa’s Nice List. If you’re interested, contact Marion at (416) 249-0961.